Cabopino Puerto is a small town on the coastline of Costa Del Sol, located between Marbella and Fuengirola, only 35 km away from the airport in Malaga. The journey from the airport takes about half an hour, via the express way. The small yacht harbour, in which the apartament is located, has its own unique climate. You may also rent a yacht or a motor boat. It is surrounded with amazing nature, which is a part of the National Park, beautiful dunes with wooden promenades and the seaside flora. Fantastic sandy wide beaches, near the apartament, are never crowded. Cabopino is a perfect place for relaxation and spending free time at the countless attractions of Andalusia, there are the theme parks and aqua parks among others. In the harbour we can also find excellent restaurants serving local and international dishes, and in the vincinity several shops and service points (post office and banks). Cabopino uses a unique Mediterranean climate, with hot summers and warm winters, thanks to what you can relax there throughout the year. Apart from water sports, you can also play golf, as Cabopino has its own golf area. 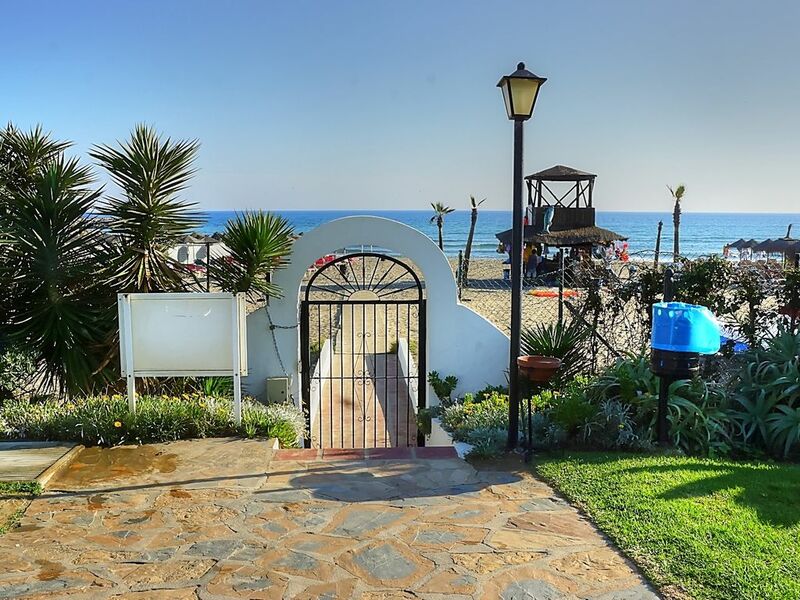 The apartment is located in the complex directly adjacent to the sea. From the window of the living room extends a view of the sea and the port. In the apartament estate you can find 2 swimming pools for the residents . There is a TAXI stand on the estate. The closest beach is 2 minute walk on foot.